Prep for interior surfaces is an essential step to creating a beautiful finished product. I want to get down to painting and creating. It takes allot of time to prep interior surfaces but it is well worth it. Without the prep for interior surfaces the paint may not stick, it may allow stains to show through, or it may not last or dry properly. With a little extra time for properly prepping interior surfaces you save time in the long run. Nothing is worse than completing your paint job to find it ruined by stains showing through the next day! Painting various surfaces requires different prep for interior surfaces. Wood veneer should be wiped with a damp not wet, lint free cloth, sanded with fine grit sandpaper and if necessary apply an acrylic wood primer, latex or oil based undercoat. Unpainted plywood or any unpainted wood should be prepared in the same way. Plastics need to be washed with a detergent solution or mineral spirits, sanded with wet or dry paper and a specialty primer made for plastics applied. This assures the paint will adhere properly to the surface. Bare metal should be brushed off to remove the rust, wiped with mineral spirits and steel wool, sanded with wet and dry paper, and then primed. 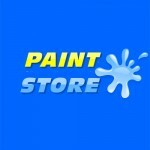 Use a metal primer or rust proofing primer followed by an acrylic primer for water based paint. Coated metal needs to be washed with a detergent solution and the coating removed with an appropriate stripper. It then needs to be sanded and a metal primer or rust proofing primer used followed by an acrylic primer for water based paint. Painted wood needs to be washed with a detergent solution using a lint free cloth and allowed to dry completely. Remove all loose flakes of paint with a scraper. Use sandpaper to smooth the edges down. Use a wood primer or an undercoat when necessary. If you are using a lighter colored paint a primer is a good idea. If the paint is darker you may not need a primer if the surface is smooth. On a hidden area test the color to see what it looks like. Varnished wood needs to be brushed with a stiff brush to remove any loose flakes of varnish. Wash the plywood with a lint free cloth in a detergent solution. Sand the plywood with coarse then fine grit paper to achieve a smooth surface. A wood primer should then be applied. Paneling needs a clean fresh surface. You must fill, sand and prime the paneling. If this sounds like too much work you can cover the paneling with special liner paper or install ¼ inch drywall over the paneling. It sounds like a lot of work, but preparation is the foundation for a quality paint job. The more time you spend for the prep of interior surfaces the faster and easier the application will go and the better the quality of the finished product. Act Now and load your container online! Know all the time how much space is left!